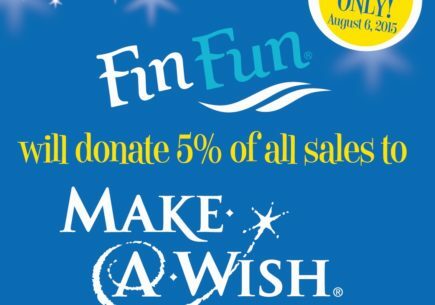 Featured FinFriends: Selling Lemonade for Mermaid Tails! 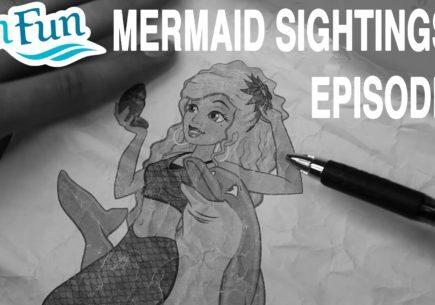 Shock, delight, and utter admiration were the combination of emotions that Megan Job and Amy Nield felt when they spotted a mermaid at their swimming pool. They wanted desperately to try it on, but were too shy to ask. The friends left the pool in wholehearted agreement—the tails were cool and they had to have their own. As soon as they were home they Googled mermaid tails to show their friend Gabriela Schart. Gabriela had always dreamed of being a mermaid. 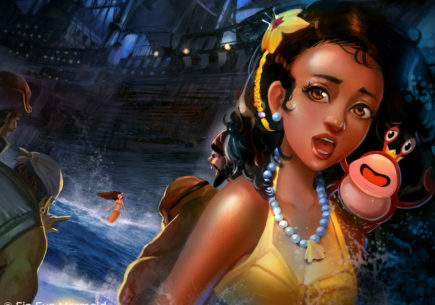 She started swimming at six months old, watched every mermaid movie, read every mermaid book, played with her mermaid dolls in the bathtub, and shared underwater mermaid adventures with her mother. 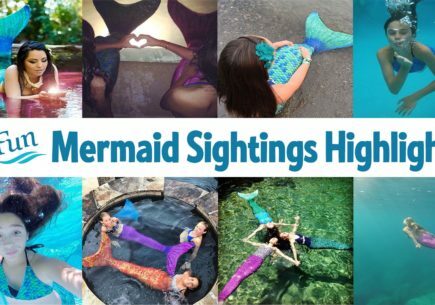 When she moved to her new home in Idaho, she was thrilled to make friends with Amy and Megan who also loved mermaids. 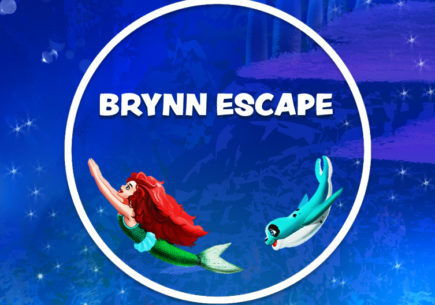 They soon discovered that Fin Fun Mermaid had the best mermaid tails and prices available. Plus their cool monofins made it even more realistic. The girls started begging their parents. 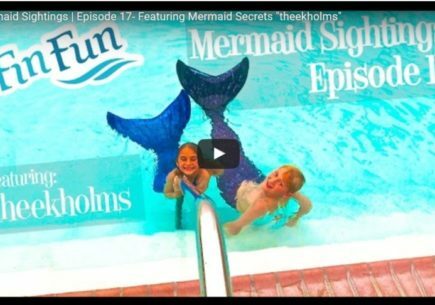 Megan’s mother Emily was surprised by how adamantly her daughter wanted the mermaid tail, but with Megan’s birthday behind her and Christmas six months away, she suggested her daughter save up for it. But Megan didn’t want to save up. She wanted the tail now. So she and her friends decided to earn their tails. Launching a lemonade stand at the park near Gabriela’s house gave them the perfect opportunity to earn some money and work together. At times it seemed more like fun than work. They chose a busy intersection and accepted donations rather than setting a specific price. School started in August and they worked evenings after school and on Saturdays. Customers were generous when the girls excitedly told them what they were saving up for. One man even paid in advance for future customers . Megan’s mom loves that the girls had the opportunity to interact with people and gain some business savvy as they priced out supplies. She was glad they found something they wanted to buy so they could have this experience. Gabriela agreed that working with her friends as they pushed each other to a common goal, helped her to achieve something she really wanted. Megan discovered that she could actually make money and not lose it. And Amy learned that work could be fun. Earning their tails gave the girls time to think and dream about them, and that made it all the more special the day their tails arrived. Plus, Emily says the girls have taken better care of them because they worked for them. Gabriela’s mother, Renee, said her daughter has always been part mermaid and now she looks the part. She is proud of her daughter who worked hard to earn the money and also contributed all of her birthday money to the girl’s mermaid fund. When the tail arrived, Gabriela said it was the best day of her life. Now the girls would swim every day if they could. Gabriela says the mermaid tail is fun to swim in and that is was as amazing as she thought it would be. She feels free as she glides through the water. Amy agrees and says the monofin and tail help her to swim really fast. Megan loves it and feels happy every day. These girls worked their tails off to get their Fin Fun tails on, but it was definitely worth it! And FYI: Now little sisters, Hannah Job and Emma Nield, are planning to run the lemonade stand to earn their tails! cool idea. It would be cool to do that. i did a ton of chores to earn my tail and i also had to put in a ton of bday money and im at my cabin for the fourth of july so im scared someone will steal it when it ships to my main home!! im here for a week what if its gone when i get back??? I’m so happy i already save $104 by selling diy bracelets and hair accesories for 3 months! I need to make more of them! 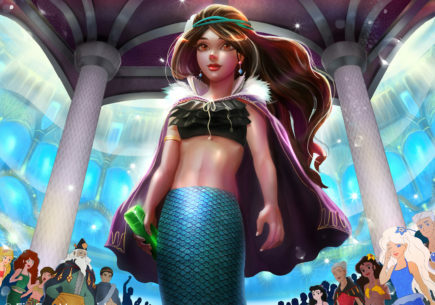 Aww can’t wait to get a finfun mermaid tail XD!! Guys you should try that! My friend also did the same thing too!? I want a green mermaid tail for my daughter she have been begging me alot of time. Thanks for putting the story on your website, I love my tail. 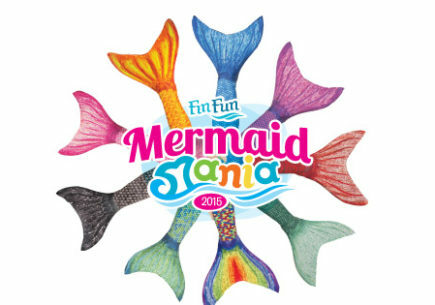 Thank you fin fun mermaid!! !